The CTARC club house is located in the Belvedere Community Centre, also known as the Round Table Centre which is located on the V.O.B. 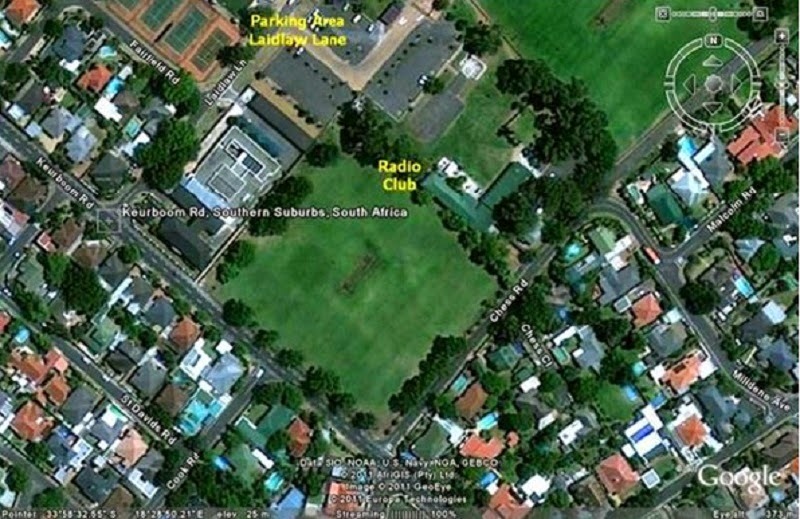 Sports Grounds, Keurboom Park, in Rondebosch. The building is near the corner of Chess and Keurboom roads. To get to the club house from the M5 highway coming from the Cape Town CBD, take the Kromboom Road exit. At the traffic light at the end of the exit ramp turn right. Follow Kromboom Road to the tee junction at Belvedere Road. Turn left onto Belvedere and follow it until you come to the traffic light at Keurboom Road. Turn right onto Keurboom Roadand follow it to Laidlaw Lane. Right turn onto Laidlaw Lane and follow it to the parking area. From the parking area you can see our antenna about 50 metres away which will guide you to the club house.